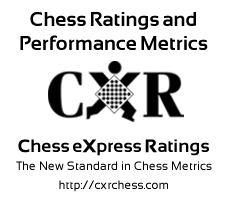 Although many chess clubs operate without sponsors, there can be significant advantages to having one or more sponsors. The same applies to putting together a chess tournament. A successful relationship with a sponsor will occur when the advantages derived are not one-sided; the sponsor should benefit as well. Generous Electron Corporation wants to promote its image as a good "corporate citizen"; additionally, by supporting chess, they become associated with an intellectual and prestigious activity; they also will be remembered by the participants who may, later on, seek employment with the company. Joe's Local Department Store sees a marketing opportunity in sponsoring a scholastic club, because the parents of the young chess players will be inclined to shop at Joe's when it's time to buy school supplies and new clothes for the kids. Mr.Barnaby Bigglesworth, a local millionaire, would like to "give back" to the community where he grew up, by sponsoring an annual prize tournament in his name. In each of the examples above, you can see that each sponsor had a clear expectation of some benefit. When looking for potential sponsors, therefore, you must think of some indisputable benefit that this sponsor can easily visualize. You must also make your request proportional to each prospect's means. You cannot expect the owner of the local diner to donate $1,000 in prize money to your tournament. But you might ask whether he would donate 3 free dinners as prizes (particularly good in a scholastic event, as the winners would surely be bringing their paying parents). The 3 free dinners could be awarded by tournament performance or even as door prizes. It is not an out-of-pocket expense for the diner owner, and it brings him business, and everyone at the event hears his diner mentioned in the Awards Ceremony. Using your imagination, you can approach each potential sponsor with an offer that is just right for his or her particular situation. How would you approach a Gas Station owner as a potential sponsor? What could you offer him (or her)? What would you ask for? Stop right now and think about this. You may have come up with something quite good, I hope. Perhaps you would offer to place a small ad (or even just the name and address of his gas station) on the tournament literature or tournament web page. You would want to ask for a prize that brings customers to his gas station and does not cost him a lot. Perhaps he would be willing to donate a free oil change as a large prize, and four smaller prizes could be a free gallon of gasoline. The free gas is not expensive but will get him four new customers. I'll bet your idea was even better! Many chess clubs have sponsors that don't give them funding, but give them a venue to play. For example, many book stores (both chains, such as Barnes & Noble, and local book shops) have been happy to provide a space for chess clubs to have regular meetings (assuming that your players are well-behaved), and they might expect someone in the club to purchase a book now and then. The presence of chess players often stimulates the sale of chess books. Many fast food chains (e.g. Wendy's, Burger King, Dunkin Donuts) are willing to host chess clubs, as long as the club members will buy some food and/or beverages. Make sure that the sponsors you choose are reputable. If you're looking to sponsor scholastic chess activities, you probably don't want to have Winston cigarettes as your sponsor. Also, it would not make the best possible impression (I could be wrong) to give as a prize "Free Lap Dance with purchase of two cocktails". Please send us your feedback. We'd love to hear your success stories, but we also want to know about mistakes -- so that others might avoid making them.